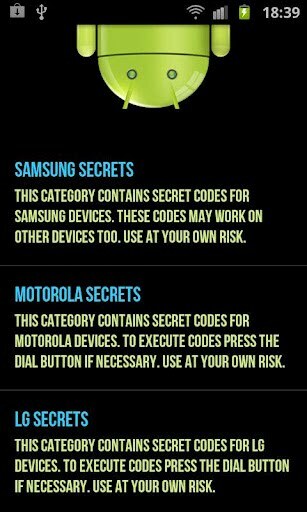 TOP FURTIVE: 'Android Secret Code' Application. This post will notify you how can one use the hidden secret codes without having trouble of typing that to your phone dial pad or remembering it. 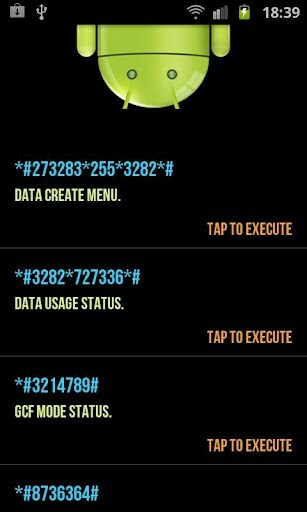 Android Secret Codes, the application on GOOGLE PLAY STORE with which you can easily use these secret codes just on a click. 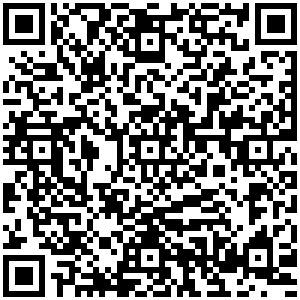 Here's the solution, download Android Secret Codes from Play Store or scan the Barcode given below. After installation, open the app and you will see the options such as Samsung Secrets, Motorola Secrets, LG Secrets And Sony Ericcson Secrets. Select the category of your mobile and you will have all the Secret Codes of your mobile in front of you. Now just tap the code to execute it. Enjoy the app, use hidden secret codes and evade from remembering these codes. 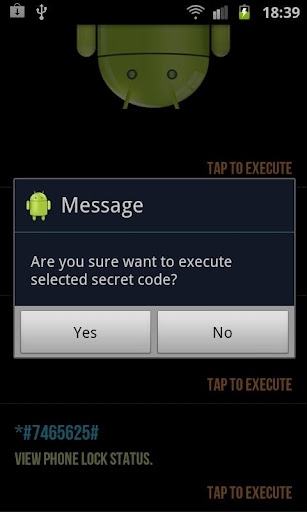 Artikel 'Android Secret Code' Application. ini dipublish oleh Unknown pada hari . Semoga artikel ini dapat bermanfaat.Terimakasih atas kunjungan Anda silahkan tinggalkan komentar.sudah ada 1comments: di postingan 'Android Secret Code' Application. nyc post..keep posting :) also chek..!